With an array of Black artists and the resurgence of grime overlooked at this year’s BRITs, Getintothis‘ guest writer XamVolo asks why the awards still fail to adequately represent the nation’s musical culture. In my opinion, Jack Garratt’s recently released double-album Phase was truly something. As someone who enjoys meticulously decoding the production of a record as much as they enjoy a good vibe, I was pleasantly impressed by some of the creative mix decisions, instances of tasteful rhythmic dissonance and the general embrace of modern audio technology I encountered. The first track Coalesce set an accurate tone for what turned out to be a distinct, explosive British take on electronic soul. Kwabs, another British electronic soul artist, released his first LP Love + War last September – 5 months ago, now. I remember listening to the first track of the album and drawing the same conclusions – having the same urge to dig in to the futuristic production techniques. Both projects are undeniably excellent. It’s true that five months is a long time in the modern music age; as our timelines and newsfeeds are ‘gifted’ with a seemingly infinite stream of new music, the public tends to forget albums in half the time it takes to create them. However, despite the increased rate of consumption, award shows endure as one of the last standing mediums stimulating enough to captivate the masses, albeit for a week or two at a time. Generously rewarding artists’ efforts by bringing their year’s work back to the forefront of the media, award shows can act as an important and valuable second-wind of exposure. 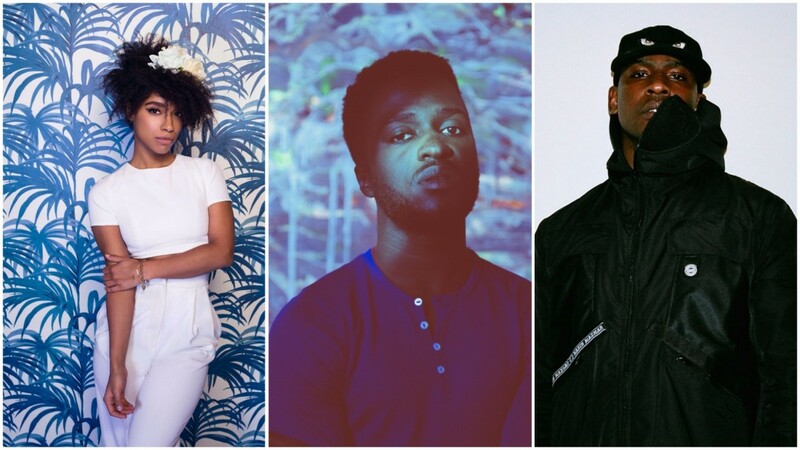 It’s common knowledge not everyone can be recognised in every category every time, but I still felt it was a shame that Kwabs’s incredibly modern, complete and innovative record – as well as many other records I had encountered in 2015 from amazing Black British artists (Little Simz, Lianne La Havas etc.) 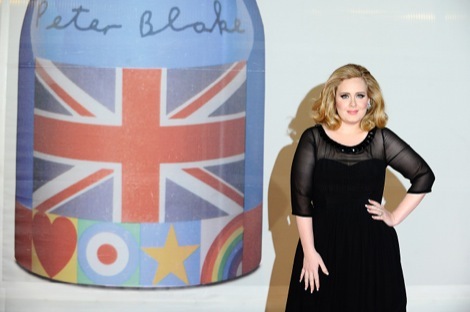 – was overlooked in this year’s BRIT Award nominee list. The world looks to platforms like The Grammys as the pinnacle of recognition in the music world; with over 80 awards granted in 2016 it’s a fair assumption that The Grammys are looking right back at them. Despite disputes over nominations, it would be hard to find complaints about a dire lack of cultural representation – The Grammys are a global platform and duly represent a plethora of categories. So, when award shows with similar esteem yet closer to home like The BRITs fail to accurately represent British culture in its entirety, it doesn’t take much to draw comparisons and wonder why. I’m not much of an active grime fan, but its presence in culture, even at a global scale, was ubiquitous in 2015. North America showed large support for the UK grime scene (with artists like Skepta finding opportunities to sell out large venues overseas) and soon other major parts of the world caught on. Fans of grime are still baffled at how publicly and eagerly Drake – probably the most commercially relevant hip-hop artist of today – associated himself with Skepta, even recently claiming to have signed to BBK, Skepta’s long-standing and influential grime-affiliated collective. Whether its success is attributed to Drake, Kanye’s 2015 BRIT Award appearance or anyone else, I don’t think grime has ever been more relevant. Initially I was inclined to agree that genres like grime being excluded from events like The BRITs was good for its image as an underground counter-culture, but upon further reflection I feel as if the grime’s achievements as a cultural movement last year, with its humble 00s beginnings akin to early 90s Hip-Hop, were too impressive to overlook anywhere. It’s baffling to think that despite there being artists like Stormzy achieving label-like numbers on YouTube while remaining independent, there’s someone in an office somewhere shrugging their shoulders and scrolling by. Such artists have a deep media presence thanks to the accessible nature of the Internet; anyone who claims to have overlooked them accidentally simply refuses to look in their direction long enough. Many people look at grime and dismiss it as a second-class art form, armed with reports of negative content and lack of musicianship, among other things – if they can’t be reasonably enlightened, these people should simply be ignored. As someone who loves great production I understand there are ways in which grime can be considered… ‘Minimalist’… at times, but Grime is still 100% British (something which cannot be said about every form of music) and 100% valid. Stormzy’s discography so far has covered a wide range of themes, topics and production styles – wider than some of his fans were even fully supportive of. His record-breaking track Shut Up was not his first and only release – it has become his most definitive hit because of the preferences of his immediate audience. Similar stories of misinformed doubt regarding content and musical sophistication can be found in the careers of other grime artists, including but not limited to Skepta, Ghetts and Wiley as well as several artists from totally different genres. Standalone hits do not define an artist or a scene – they define audience tastes. To judge an entire genre on a slice of its output is unfortunately human and woefully inaccurate. I, like many others, am prone to look at situations like these as if there were some sort of umpire I could impatiently gesture at until retribution is dealt – unfortunately in real life that isn’t the case. The BRITs technically don’t have to represent anything they don’t want to – there are most definitely politics involved (which is life) – but the hope I share with others is that as a brand of honors with a name as bold and suggestive as it has (and with an audience as impressionable as it has), The BRITs might take more responsibility in providing a constantly accurate depiction of music in Britain to the outside world moving forward. The non-inclusion of several worthy Black British artists – up-and-coming and established alike – from award shows like The BRITs for whatever reason on whichever occasion has the potential to limit the credibility of their artistic output in the eyes of a large group of people. When someone isn’t even in the conversation for an accolade (unless your name happens to be Leonardo DiCaprio), the average spectator’s first reaction isn’t “maybe they were too niche” or “maybe they didn’t apply properly and/or qualify”, it’s “maybe they weren’t good enough”. Not only does exclusion affect the impressionable public’s view of the collective Black British contribution, it also runs risk of painting the British Music scene as a shallow affair to a non-national paying anything less than full attention. Though (as with anything) a few people would ridicule the idea, a lot of people, both within and outside of Britain, look at platforms like The BRITs as the embodiment of British music culture – some even simply because of the name. Ultimately, people are entitled to their own opinions on any type of music. My only issue is whether their perspectives are being unfairly skewed by a lack of representation. Anyone who looks at the UK’s population figures and concludes that a list of nominees should reflect that is most likely uninterested in a neutral debate. Influential entities usually command the course of culture for the public, but when sales and chart numbers are the deciding factor, fair representation is at risk of being lost in a vicious cycle. In the same manner the RIAA has recalibrated their definition of commercial success for the modern music industry, maybe The BRITs – a necessary and reputable brand of awards which has indeed gotten it right in the past – could recalibrate their methods of qualifying the validity and relevance of a cultural contribution. Sharing is caring.